The U.S. International Trade Commission today threw the book at Apple, ruling that some of its older iPhones and iPads infringe on a patent owned by Samsung. The ITC issued a limited exclusion order and a cease and desist order against Apple that prohibits the U.S. importation of infringing products. Should the import ban go into effect, FOSS Patents noted Apple would be prohibited from selling violating products as covered by the cease and desist order. 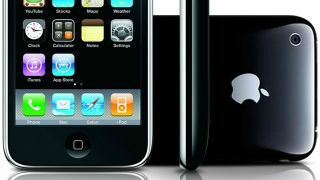 The products affected are the iPhone 4, iPhone 3GS, iPhone 3 and iPad 3G and iPad 2 3G, all on U.S. carrier AT&T. There's a "grace period" over the next 60 days where the Commission's decision will head to President Obama for approval or veto. If the White House disapproves of the decision, it will have no effect, while an approval leaves the door open for Apple to appeal to the U.S. Court of Appeals for the Federal Circuit. A presidential veto of a Commission decision is rare: The last president to do so was Ronald Reagan. According to Kristin Huguet, a spokeswoman for Apple speaking to AllThingsD, Cupertino plans to appeal. In the meantime, she noted the ITC's orders will have no impact on the availability of Apple products in the U.S.
She also took a jab at Samsung, which Apple contended had agreed to license its patented technology under fair, reasonable and non-discriminatory terms to avoid a legal dispute such as this. "Samsung is using a strategy which has been rejected by the courts and regulators around the world," Huguet said. "They've admitted that it's against the interests of consumers in Europe and elsewhere, yet here in the United States Samsung continues to try to block the sale of Apple products by using patents they agreed to license to anyone for a reasonable fee." This particular dispute between Samsung and Apple has been going on since 2011 and involved four patents (allegations surrounding a 5th were withdrawn), with the ITC finding Apple to have infringed on two parts of one. U.S. patent No. 7,706,348 covers a method of encoding and decoding a transport format combination indicator, or TFCI. Essentially it helps a cell tower understand the data rate at which a cell phone sends information. We've reached out to Samsung for comment and will update this story if and when the company responds.